Gabe is a co-founder of Lenox Realty Group. Back in 1997 Gabe read the book Rich Dad Poor Dad and the real estate bug bit him hard. 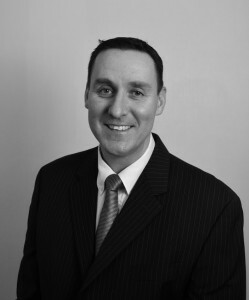 Originally from Boston, Gabe started buying multi family properties in Providence in the late 90’s while working at AT&T as a web hosting specialist. In 2001 when the dot com boom turned to bust he decided to give real estate sales a try as a full time job and moved to Providence. For the first few years of his real estate career he mainly sold multi family houses and commercial properties to investors but as the market started to rise rapidly in 2005 he wondered how people were going to pay for these properties as they no longer made financial sense. In 2005 Gabe started to predict that this housing boom would soon turn to bust and sold all of his real estate holdings including his own personal house ( he rented for 5 years ) and started focusing on doing rentals because he didn’t want to sell people houses that he thought they would someday lose. In 2006 Gabe and his Wife Nicola designed the website Rentprov.com and opened their first company on Westminster St. in Providence. At the time there were no other companies in Providence focusing on rentals and the business boomed. In 2008 one of their customers approached them about buying the rental business. They divided Rentprov.com into two separate companies. Rentprov Realty which they sold and still is extremely successful under the leadership of Jon Weinstein on Atwells Ave in Providence, and Rentprov.com which is a stand alone web site business which is currently being morphed into their latest venture RealtyRI.com which should be completed in October 2015. Both Gabe and his wife tried to make a living solely off the website and found it challenging and in 2009 opened Lenox Property Management. They later opened Lenox Realty Group because they wanted to be a full service real estate company. At Lenox, Gabe is responsible for the strategic direction of the company as well as the day to day management of the office. Our mission is to ensure top quality service to all of our customers whether it be an owner with a five hundred dollar apartment or someone selling a multi million dollar home. What clients receive from Gabe is an honest insider’s view of the market. He takes this business seriously, and literally eats, breathes and sleeps real estate. On off days Gabe enjoys spending time with his friends and family which includes his sons and his lovely wife.